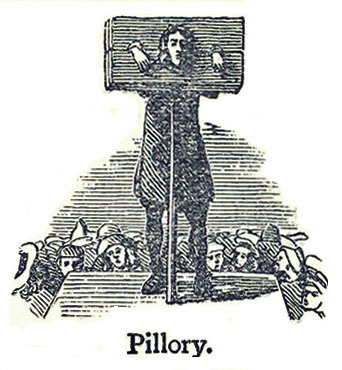 In today's society men aren't sentenced to the pillory anymore, or are they? We know that throughout history men have put the lives of women and children over their own. At the sinking of the Titanic, men helped women and children to their seats in the life boats. Most of the women and children who traveled on the Titanic survived, men in turn comprised the vast majority of the people who perished then in the icy waters of the Atlantic. Alistair MacLean tells in his collection of short stories The Lonely Sea, how men time and again repeated such heroic performances and sacrificed their lives to save those of women and children, when ships sank beneath the waves of the ocean. The survivors of the armed forces who returned from the first three great wars of this century, W.W. I, W.W. II and the Korean War were welcomed home as heroes. The young men and boys who returned from Vietnam, who served there for their homeland and to protect the world from the advances of Communism, were drafted on the basis of the laws of their country. Few of them served voluntarily, although many did so willingly, as was expected of them. Many were spat upon by women when they returned home, whether they were still whole or not. Throughout history, morals and moral laws varied. We know that time and again ethnic minorities were singled out for persecution, but never before in history was it that men as a group were actively vilified and demeaned. Today it is alleged that men are responsible for virtually all of the evils of the world, everything from starting and perpetuating wars to beating up pregnant women and thereby being one of the primary causes of birth defects. Did men really change that much during just one decade that they deserve the wrath of the people for whom they put their lives on the line? Not really. Men still sacrifice their lives for women and children. Men still are expected to serve their country, their communities and their families, especially in times of war. Military draft still applies only to men and boys. Men still live by the motto "Women and Children First!" What has changed then to give men the reputation that they have today? Nothing really other than that Feminism has given men a bad name. In the Sixties, Feminism became a powerful influence in our society, with the active support by men, because without any doubt, men were in position of political power then. Without the active support of men, women would not have been able to achieve the prominent influence in politics that they have reached today. What has changed too is the disparity in the average life expectancies of the sexes. At the end of World War I men had on average one year less in the expected life than women had. Today men's life expectancy is on average seven years less than that of women. With the active support of the media, the bureaucracies and the majority of our politicians, who all appear to be in a permanent huddle with feminists, men are being pilloried today—all of them. According to politically correct personalities, today's men are in a position of power. In an all-out propaganda war, second to none in modern history, men are alleged to be brutes, rapists, batterers and deadbeat dads. Although scores of studies by reputable sociologists tell us that both sexes grew up on the same planet and were raised by the same mothers, women's violence is glossed over in the propaganda war against men and largely ignored by the media. The result in Canada is that although men and women are at best equally likely to commit violence, with women in reality slightly more likely to commit violent acts, men are 100 times more likely to be incarcerated for violent crimes than women who commit crimes of equal severity. Violence is becoming an increasingly grave concern in our society, with teenagers becoming more and more likely to perpetrate violent acts, and girls more so than boys. The age of the perpetrators of violence is dropping steadily. Should anyone be surprised? No! Never before did society try so hard to remove fathers from the lives of their families and children and never before were so many children raised without the benevolent influence of their fathers. What unifies the majority of our prison inmates is that they grew up fatherless. Note: The statistics on this page were extracted from the text on the subsequent pages of this newsletter. The citations of the sources are given in the text contained at the HTML links indicated in brackets following the quotations. The same study which found that a woman is abused by her spouse every 15 seconds, also found that a man is abused by his spouse every 14 seconds. In the USA, wives or girlfriends assault 2 million men every year, 1.8 million women are assaulted by their spouses or boyfriends. 54% of all domestic violence termed 'severe' is committed by women against their husbands or boyfriends. Over 2/3 of the child abuse committed by a parent is committed by the mother. Mothers (55%) are more likely than fathers (45%) to murder their children. Mothers kill sons (64%) more often than daughters (36%) and 78% of the child victims are under age 11. A study of inner city child abuse found that 49% of all child abuse is committed by single parent mothers. 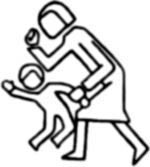 Mothers abuse their children at a rate approaching twice that of fathers. The following are quotations from The Liberator, a monthly newsletter by the Men's Defense Association. October is Domestic Violence Awareness Month but we cannot hope to end domestic violence until we understand the cycle of violence. Children who see their fathers or mothers abused are more likely to become abusers as adults, children who are abused by a parent are at greater risk of becoming abusers as adults; and more children are abused by their mothers than by their fathers. If a man asked for help, who would listen? Since society does not define abuse of men by women as a problem, official police data reflects a much more frequent response to abuse of women by men than of men by women. Therefore, it is not surprising to find over 90% of the calls to police or to hotlines coming from women, not men. But, if a man called, who would listen? Finding solutions. The solution is simple: we must team to be effective parents and spouses without resorting to violence to resolve disputes with our loved ones. Most importantly, we as a society must begin to acknowledge that women are no less than equal partners in the cycle of violence. Until we develop programs to treat violent women, we can never hope to end the vicious cycle of domestic violence, nor can we hope to end the terrible tragedy of child abuse. "Women Are Responsible Too", Judith Shervin, Ph.D. and Jim Sniechowski, Ph.D., Los Angeles Times, June 21, 1994. Research by M. Strauss & R. Gelles as reported in "Women Are Responsible Too", Judith Shervin, Ph.D. & Jim Sniechowski, Ph.D., Los Angeles Times, June 21, 1994. A study of child abuse in Lansing. Michigan. Joan Ditson and Sharon Shay in Child Abuse and Neglect, Volume 8. 1984. Spouse Abuse: A Two Way Street, Warren Farrell, Ph.D., USA Today, June 29, 1994.
people think. Excerpt from special supplement to The Washington Post, 12/28/93. Despite all the evidence about female-on-male violence, many groups actively try to suppress coverage of the issue. Steinmetz received verbal threats and anonymous phone calls from radical women's groups threatening to harm her children after she published The Battered Husband Syndrome in 1978. She says she finds it ironic that the same people who claim that women-initiated violence is purely self defense are so quick to threaten violence against people who do nothing more than publish a scientific study. Steinmetz's story is not unique. Ten years after that study, R.L. McNeely, a professor at the School of Social Welfare at the University of Wisconsin, and Gloria Robinson-Simpson published The Truth About Domestic Violence: A Falsely Framed Issue. The article examined various studies on domestic violence and concluded that society must recognize that men are victims or we will be addressing only part of the phenomenon. Shortly thereafter, McNeely received letters from a Pennsylvania women's organization threatening to use its influence in Washington to pull his research funding. Robinson-Simpson, who uncovered some of the most important data, largely was left alone. According to McNeely, "she, a young assistant professor, was assumed to have been "duped" by the senior male professor." Murray A. Straus, a sociologist and co-director for the Family Research Laboratory at the University of New Hampshire, blames "women in the battered [women's] shelter movement" for denying that women physically abuse husbands, ex-husbands and boyfriends, or playing down such abuse. "There's this fiction in the shelter movement that in all cases, it's him, not her who's responsible for domestic assaults," Mr. Straus said in a recent interview. Mr. Straus said at least 30 studies of domestic violence - including some he's conducted - have shown both sexes to be equally culpable. But he said some of the research, such as a recent Canadian national survey, "left out data on women abusing men... because it's politically embarrassing." Women and men "are almost identical in terms of the frequency of attacks such a slapping, shoving, and kicking", Mr. Straus said. Using information on married couple obtained from 2,994 women in the 1985 National Family Violence Survey, Mr. Straus said he found a rate for assaults by wives of 124 per 1,000 couples, compared with 122 per 1,000 for assaults by husbands. The rate of minor assaults by wives was 78 per 1,000 couples, and the rate of minor assaults by husbands was 72 per 1,000, he said. For the category of severe assaults, he said, the rate was 46 per 1,000 couples for assaults by wives and 50 per 1,000 for assaults by husbands. "Neither difference is statistically different," Mr. Straus wrote in the journal Issues in Definition and Measurement. "As these rates are based exclusively on information provided by women respondents, the near equality in assault rates cannot be attributed to a gender bias in reporting." Dr. Straus's comments do not reflect the 1995 National Family Violence Survey. The article given below appeared in the Albany Times Union. It was written by Judith Sherven and James Sniechowski of Los Angeles. She is a clinical psychologist and he also holds a doctorate in the behavioral sciences. Once again, the myth of the evil brutal male perpetrator and the perfect, innocent female victim is being broadcast and written about as gospel. The discussion is national, the rage and sorrow, palpable. Only when we come to terms with the fact that domestic violence is the responsibility of both men and women, however, can we put a stop to this horrible nightmare. Domestic violence is not an either-or phenomenon. It is not either the man's fault or the women's. It is a both-and problem. Both male and the female are bound in their dance of mutual destructiveness, their incapacity for intimacy and appreciation of differences. They need each other to perpetuate personal and collective dramas of victimization and lovelessness, and so, regrettably, neither can leave. This is a very untidy idea for people who have grown up with movies in which the "good guy" triumphs over the "bad guy" rescues the damsel from distress. But to tackle the plague of domestic violence, we must alter our perspectives. Half of spousal murders are committed by wives, a statistic that has been stable over time. The 1985 National Family Violence Survey, funded by the National Institute of Mental Health and supported by many other surveys, disclosed that women and men were physically abusing one another in roughly equal numbers. Wives reported that they were more often the aggressors. Using weapons to make up for physical disadvantage, they were not just fighting back. While 1.9 million women annually suffered one or more assaults from a husband or boyfriend, 2 million men were assaulted by a wife or girlfriend, according to a 1986 study on US family violence published in the Journal of Marriage and Family. That study also found that 54 percent of all violence termed "severe" was by women. The Journal for the National Association of Social Workers found in 1986 that among teenagers who date, girls were violent more frequently than boys. Mothers abuse their children at a rate approaching twice that of fathers, according to state child-protective service agencies surveyed by the Children's Rights Coalition. Because men have been taught to "take it like a man" and are ridiculed when they feel they have been battered by women, women are nine times more likely to report their abusers to the authorities. In 1988, R. L. McNeeley, a professor at the School of social Welfare of the University of Wisconsin, published "The Truth About Domestic Violence: A Falsely Framed Issue" again revealing the level of violence against men by women. Such facts, though, are "politically incorrect". Even 10 years earlier, Susan Steinmetz, director of the Family Research Institute at Indiana University-Purdue University received threats of harm to her children from radical women's groups after she published "The Battered Husband Syndrome". Why are we, as a culture, loath to expose the responsibility of women in domestic abuse? Why do we cling to the pure and virginal image of the "sweet young thing" and the "damsel in distress"? If we are sincere about change, we must acknowledge the truth: Women are part and parcel of domestic violence. The women movement claims its goal to be equal rights for women. If that is so, then women must share responsibility for their behavior and their contribution to domestic violence. Otherwise, we remain in a distortion that overshadows the truthOnly the truth will show us the way out of the epidemic of violence that is destroying our families and our nation. for legal pros & laypeople alike. The Justice Department released the findings of a study showing that about 1.4 million violence-related injuries a year are treated in hospital emergency departments, far surpassing earlier government estimates, and that about 37% of violence-related injuries to women are inflicted by spouses, ex-spouses, or boyfriends. The new Justice Department numbers show that ALL violence is responsible for about 3% of women's INJURY-RELATED visits to emergency rooms, and domestic violence for about I%. Since fewer than a third of women's emergency-room visits are injury-related, this means that domestic violence accounts for fewer than 0.3% of these visits. While it is possible that some domestic violence cases were not identified in the study, it is noteworthy that its estimates include not only positively established but probable cases of violence from injuries. Statistics released by the Centers for Disease Control last March, in a report titled "National Hospital Ambulatory Medical Care Survey: 1992 Emergency Department Summary," show that the leading cause of injury, to both women and men, is accidental falls, followed by motor vehicle accidents. According to the CDC, 13.6[%] of injuries to women seen in emergency room are from car accidents-a total of nearly 2 million, or almost 10 times the number of injuries from domestic violence. The Justice Department report does confirm that women are much more likely than men to be physically harmed by an intimate partner. However, it shows that men account for about 16% of injuries from domestic violence, contradicting the common claim that 95% of abuse victims are women. The report also notes that the numbers should be treated with some caution because, for 35% of men with violent injuries (compared to only 20% of the women) the victim-offender relationship was not identified. It may be that because of cultural norms, men are reluctant to disclose that they were assaulted by a female partner. "For years, claims about the horrific scope of violence against women have been used by the ideologues to portray American society as a violent patriarchy in which women are constantly under assault by male terrorism, and the greatest threat to women is the men in their lives," said Cathy Young, vice-president of the Women's Freedom Network. "The Justice Department numbers show what critics of gender-war feminism have been saying for some time: the numbers have been exaggerated to serve an ideological agenda and promote policies that create a virtual presumption of guilt in domestic abuse cases. Domestic violence, and the level of violence in our society in general, needs to be addressed. "But there is no need to distort the truth or to foster division between the sexes." Pleased to receive New Justice Findings. Only now after some twenty-five years are we beginning to see some accurate figures about domestic violence. I was aware of this great fraud being perpetrated in the west by the women movement greedy for money. Others like Strauss, Gelles, Steinmetz in America and Senator Ann Cools, in Canada warned the general public of the danger of this evil movement. Millions of men and children have suffered. Family life has almost been destroyed as these women moved into positions of power in the justice system, in social services, in the media - anywhere where they could pervert to course of justice to their cause. I will be putting this paper on the net as soon as I have finished it. [My note: This paper "Working with Violent Women" was published on page 22 of Oct./Nov. Issue of The Liberator. - WHS] The question is this? Do those of us who know the truth, sit back and allow further millions of funding to go into these women's hands? Or do we begin to identify those women who have deliberately and knowingly lied and cheated, altered figures and statistics to justify their lies and lived off the money that should have been given to victims of domestic violence? I said twenty-five years ago and I still say: Of the first hundred women coming into the first battered women's refuge in the world in Chiswick, London, 62 were as violent as the partner they left. I expect, once true figures can be correlated to find that figure reproduced as a true and accurate figure. What we all have to face is that domestic violence is a learned pattern of behavior and when small children are exposed to physical and emotional violence, these are the strategies for survival they will bring into their adult life. Women are as violent as men, and are more likely to use violence in personal relationships. The reason why their violence has been hidden is because it is hidden violence - behind the closed front door of the home. Women intimidate the family because of their strong central position in the family and are now able to blackmail men, thanks to the bias against men that has been prevalent in the last twenty-five years. For me, the effect on the children of this nightmare cannot be undone. But I do hope that somehow this whole lie can be exposed. Justice can seen to be done and those fathers that I have known who have been destroyed, lost their homes, their reputations, their jobs and their children, can somehow feel that all the suffering was not in vain? Will we see, this year, another tranche of money being poured into the hands of the women movement so they can hold their endless conferences? Probably unless a few good people are willing to take on the job of exposing them? Richard Doyle, the editor of The Liberator, can be contacted at <MensDefens@aol.com>. An on-line edition of the current issue of The Liberator is accessible here. My Note: Erin Pizzey's book "Prone to Violence" was so thoroughly boycotted by redfems, and its distribution so effectively sabotaged, that, although it had been published in 1982, by 1984 a search by a librarian of the US Library of Congress (using the Inter-library Network) showed that in the whole world there was only a total of thirteen listings of that book in libraries that could be accessed. Erin Pizzey too was subjected to harassment by redfems. Amongst other things, she and her family received bomb threats. The harassment became so intense that she was forced to flee England and live for years in Italy. She is now back and lives in England--on welfare--a victim of feminist violence and politics, because she dared to differ with redfems and hold up a mirror to them. If only there were more people unafraid to speak out like that, and if only they would have done so starting in the sixties. Other "isms" were fought to death, by putting the lives of our men on the line. Why not Feminism too? After all, it succeeded to achieve what Communism and Nazism only threatened to do. It destroyed our society as we knew it. Certainly, the feminists will say that much has been done to eliminate the oppression of women in our society. The question is: why was it necessary to destroy so many families in the process of doing that? The following is a draft of an article that Erin Pizzey was asked to write for the London Daily Mail. The following is a draft article that The Daily Mail asked me to write yesterday. I only had two hours to write it, so it is rough. They may not run it but at least they asked for it knowing that I am anti-feminist and that in itself is a breakthrough. I feel sorry for women of my generation who were tricked into believing that the so called women movement had anything to offer women except tears. I believe that the women movement internationally has been the most extreme and the most influential cause of the destruction of family life in this century. The history of this movement goes back to the early sixties in America when the women's liberation movement was born out of the rage and frustration of American women working along side men in the left wing movements that were sweeping across the western world. Like many women of my age, I was transfixed by the writings of feminist gurus. I passionately believed in the message that was being touted through the pages of newspapers. The seductive message was that women were going to cease to fight and to compete with each other. We were going to come together to improve our role in society and to take advantages of choices that would enable us to compete in the work place if we so wished. We would be given control over our bodies and be able to make our own decisions over abortion. Today, millions of men look back at the devastation this movement created in their lives. Publicly derided as useless, feckless idle wasters, men have retreated into their holes to lick their wounds. A generation of young men in their early twenties is now adrift in a sea of misandry. They are regularly exposed as less able than their sisters and pilloried as academic failures by the press. No wonder they turn to mental illness, suicide and drugs. Their feminist mothers, in many cases, with multiple sexual partners, have abandoned their role as care givers. Children come home to empty rooms, empty fridges and no warmth. These are the children of the 'nobody home' generation. The feminist movement decreed that all women must enter the work force and hand their young children over to the care of the 'mother' state. As the divorce rates soar men refuse to make any commitment that ties them to women who, when they are bored with the relationship, will boot the men out and keep the money and the children. What we have left, thanks to this evil movement, is a vast number of lone women trying to keep what is left of family life going. They never asked to be foot soldiers in what has become a feminazi army. [*] They were not blessed with skills and college degrees that gave them economic power to make decisions when they were abandoned by their men. They believed that the feminist movement was going to offer them choices. What they did not understand was that there were never any choices. Men, realizing that they had been cast in the role of sexual monsters, retaliated. Those that didn't pitch into the war of the sexes with relish, simply faded away. Women facing the new millennium have few choices. One of them must be to take back our homes and our families from the clutch of the feminist movement. Fight back against the ridicule heaped upon men. Those men are our sons and hopefully, our future son-in-laws. Where are the men and women who want to preserve family life in this country? Are they willing to stand up and be counted? Whether it is caused by violence or not, children living with single moms don't do well in our society. It used to be the exception. Now it is becoming the rule and progressively worse. Is that not child abuse too?